Never Enough Nails: Lynnderella Friday, Vol. 53! Can't believe it's Friday again already! I am currently enjoying two weeks of vacation from work, so the time feels like it's flying by and summer is slipping away from me! 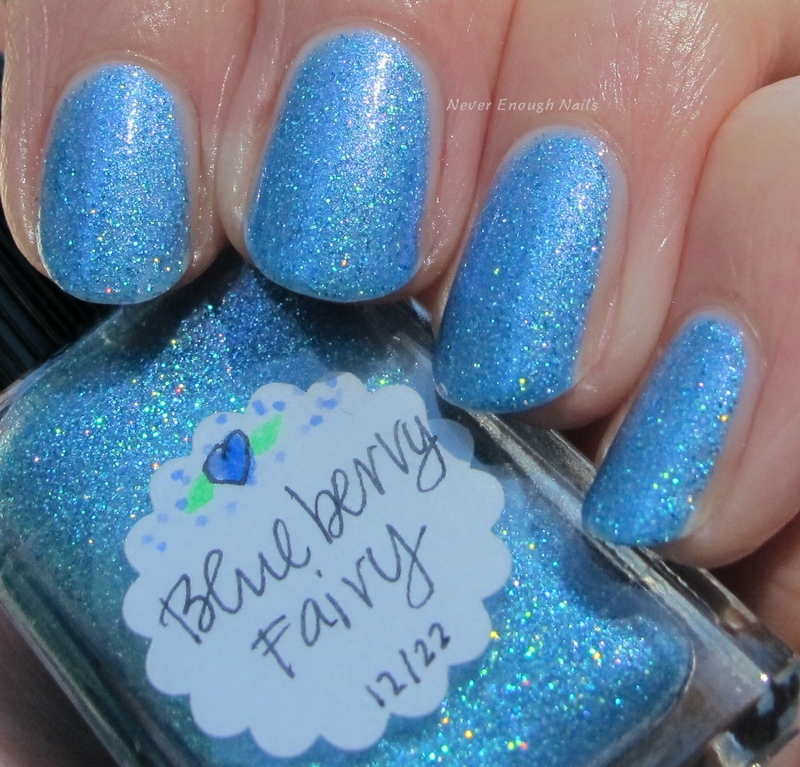 Today I have a pretty new Lynnderella that is perfect for this time of year, Lynnderella Blueberry Fairy. Blueberries are still in season and delicious, and Blueberry Fairy is a delicious shimmery treat. This polish has blue shimmer, aqua microglitter and a lilac pink shimmer that was hard to capture in these photos. The pink shimmer is much more prominent in person and makes this polish more unique. 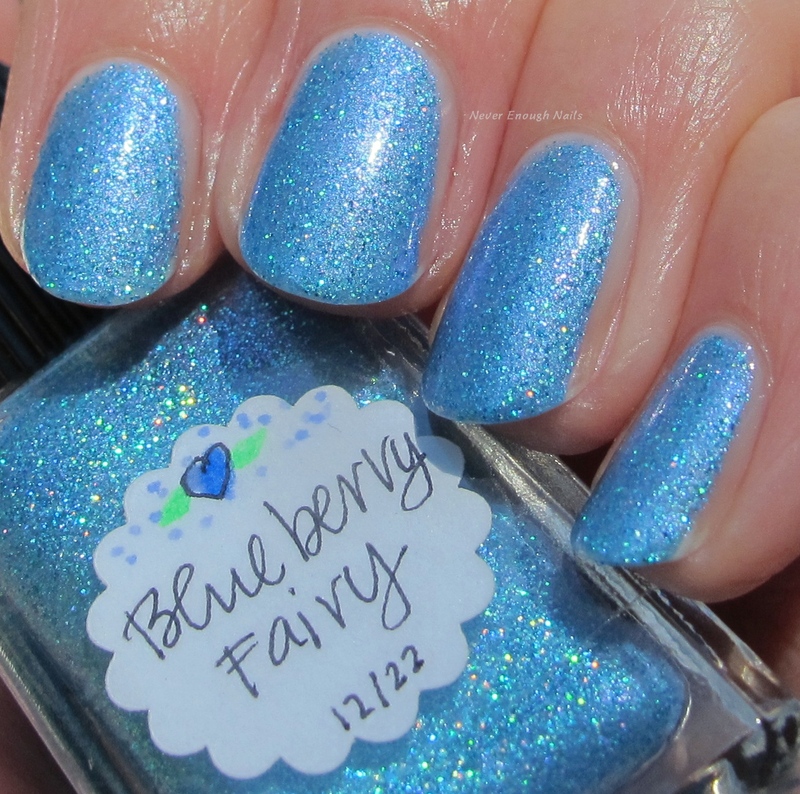 I think the pink shimmer is also why this looks like a paler blue in some of my photos. The camera just picked up more of the pink glow sometimes. 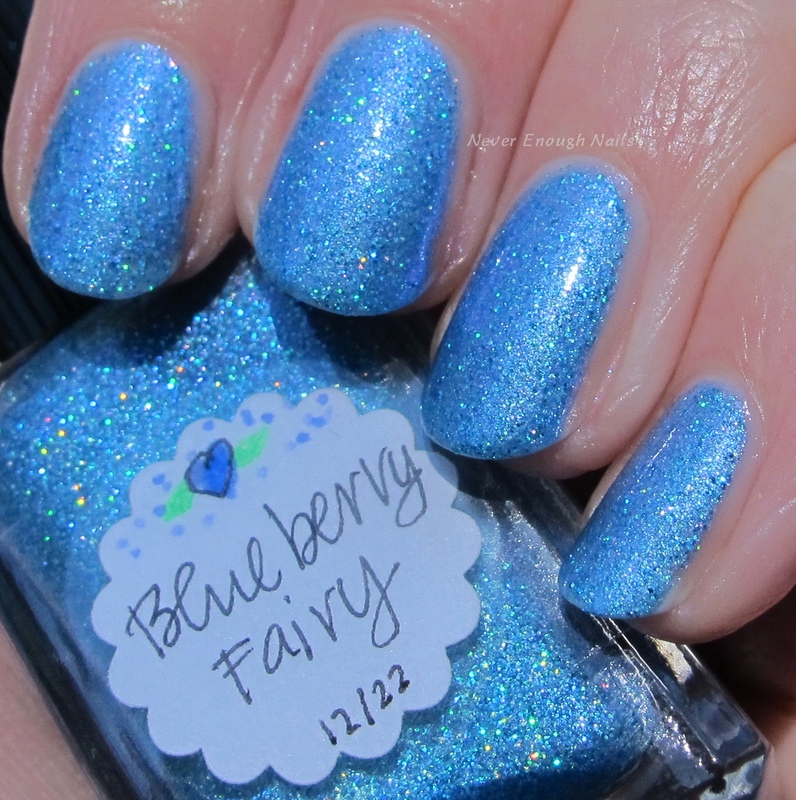 This is a gorgeous polish, one of my new favorites! This is two easy peasy coats. It was great to apply and perfectly smooth after one layer of top coat. Lynnderella Blueberry Fairy is available now at http://stores.ebay.com/lynnderella-lynnderella.